As one commenter noted after reading this news, “Well, that just says it all.” My inner reply: Services rendered; services paid. Former Energy Secretary Ernest Moniz has been tapped to serve on the board of electric utility giant Southern Co.
Moniz, who served under former President Obama from 2013 to 2017, will be an independent director on the board. “I have long admired Southern Company for its innovative approach to research and development within the clean energy space, and look forward to joining the board,” Moniz said in a late Monday statement. “Tom is an industry leader and I’m eager to work with him and the entire board in helping Southern advance at a time of great change in the energy world,” he said of Tom Fanning, Southern’s CEO. Its “innovative approach to research and development within the clean energy space” means … what? “I love how cleverly they keep their profits flowing”? Or “I love how nicely they reward me for service to their industry”? The company is working to build two new reactors at Vogtle Electric Generating Plant in Georgia, the only nuclear power plant currently under construction in the country. But they are years away from completion and billions of dollars over budget. The Vogtle project has benefited significantly from federal government actions, such as major Energy Department loan guarantees announced last year and Congress’s decision this month to extend the eligibility dates for tax credits for newly-built nuclear plants. President Obama on Friday praised Heather Zichal, who is resigning from her post as his energy and climate czar…. “For more than five years, I have been fortunate to have Heather Zichal as a trusted advisor,” Obama said in a statement on Friday. “She crafted my energy and climate change agenda in the 2008 campaign, then again on my Presidential transition, and as my top energy and climate adviser at the White House, she has been a strong and steady voice for policies that reduce America’s dependence on foreign oil, protect public health and our environment, and combat the threat of global climate change,” Obama said. How does she “combat the threat of global climate change”? By cashing in her chips at the Bank of Big Energy, like Obama’s Energy Secretary just did. Obama Alums Are Pushing Fracked Gas Exports. That’s Exactly What Trump Wants. …At least five of these Obama officials now work for natural gas export companies, four of them for Cheniere and another for Tellurian. Though pitched as the “cleaner fossil fuel” by many of these former Obama officials, the high levels of methane in natural gas carry a climate punch…. One of those Obama alums, former top White House climate and energy staffer Heather Zichal, now sits on the Board of Directors for Cheniere. She also recently was named managing director of corporate engagement for the environmental group The Nature Conservancy…. Keep those names in mind — The Nature Conservancy and methane giant Cheniere. In her book This Changes Everything: Capitalism vs. The Climate, Naomi Klein reveals that The Nature Conservancy actually owns an oil well in Texas and uses the financial earnings which come from it as part of its funding stream. Further, both BP and Chevron sit on The Nature Conservancy’s Business Council. Zichel is just one of several top Obama officials profiled in the report. Others include a Director of Public Affairs in the Obama Energy Department, a Coordinator for International Energy Affairs, a Chief of Staff in the Obama’s Office of Fossil Energy, and several others. Would Mainstream Democrats Risk the 2018 Election for Money? It’s really hard not to see these actions as venal. Mainstream Democrats — feathering their nest by boiling yours. I’m amazed at what we’re witnessing. 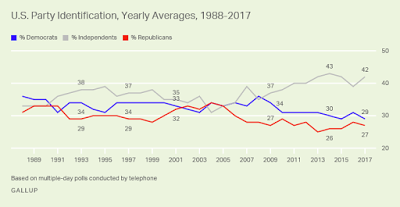 As low as the Republicans have sink — and they’ve reached a decades-long Party bottom in their attempts to “win absolutely” for big money donors — mainstream Democrats are giving them a run for their money, a downhill run, looking for their own Party bottom. This story has “national tragedy” written all over it. This entry was posted in Banana republic, Energy markets, Guest Post, Politics, Regulations and regulators on February 17, 2018 by Yves Smith. Working for cheniere? that should tell you everything about what a virtue-signalling sham DC Democrats have become [or always were ]. your dutiful recycling and fussing over buying local carrots gets negated by all the methane released from the fracking needed to fill one LNG carrier and all the bunker fuel emissions needed to move that ship to Singapore. and the icing on the cake is that the nat gas for your heating bill and electricity bill is now going to be priced more like the global market. that means more expensive utility bills. More expensive utility bills could mean less utility usage . . . if the bills get more expensive enough. After all, a good way to encourage conservation is to discourage use. And a good way to discourage use is through pricing the item to be conserved higher enough that using it really hurts. Will there be a way to reduce the pain this will cause to poor people? Perhaps. Non-poor people of good will can donate money to poor-people energy-relief-and-assistance funds. More to the point, the DSA party will have an opportunity to weatherize at least some poor peoples’ houses to help them reduce their energy usage. DSA could also hold conservation-lifestyling clinics and teach-ins. Such an outreach project might be a very good target for donor dollars in order to get some conservation enabling done, even if those donors don’t care about the DSA otherwise. The Walter Benn Michaels article linked to yesterday dismantles this very type of thinking beautifully. I would be grateful if you would give me a link to the article you referenced. The story is more complex and more interesting than the article allows for. Moniz was instrumental in negotiating the nuclear accord with Iran when he was Energy Secretary. A very good thing. And a Board appointment to a company operating in a space Moniz is expert in is pretty normal……Southern Company need a diversity of opinions on its Board to operate successfully. Perhaps this article is a hack job by enemies of the Iran nuclear accord? Moniz was also always wholly upfront about his support for nuclear energy, whether Obama Democrat partisans wanted to notice it or not. He stumped for building new nuclear plants while a Dem secretary of the DoE. One that was planned during his tenure was built on time and on budget somewhere in the Virginias, but the Southern co. plant is a costly, uncompleted disaster. I have the sense that Moniz genuinely believes a carbon-free worldwide energy generation system requires nuclear for most of its power production. And I suspect he is right, especially everywhere north of the 45th parallel. Still, this is clearly an after-the-fact reward for being a friendly “regulator”. Does anyone have his projected compensation info? All listed Directors in the 2017 10K received total comp of $41,600. It’s a regulated utility and as such compensation is within the bounds of reason. Given the revolving doors norms in Washington today, this appointment is not a newsworthy scandal, and probably not a scandal at all. 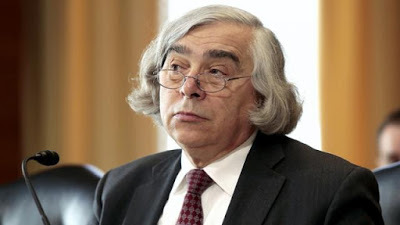 Moniz actually is among the nation’s most knowledgeable technical experts in nuclear, and a rarity in that he is able to function in high political circles. I liked him very much when he headed the DoE. The guy was genuinely and utterly committed to moving us away from carbon polluting energy, and he did not condescend to regular people when he interacted with them. This week, the Department of Energy unveiled its official portrait of Ernest Moniz, who led the department during the second half of the Obama administration. In addition to government efforts Moniz spearheaded, including a historic nuclear agreement with Iran, the painting of includes a pro-fracking study funded by the oil industry that Moniz led while at the Massachusetts Institute of Technology. did they all work on the iran deal? why do you ignore the others? In a mirror image of Norway’s sovereign wealth fund dumping energy stocks since Norway’s economy is inherently overweighted in energy, the Nature Conservancy recognizes that an oil well is an excellent financial hedge should its efforts to restrict exploration drive crude oil back to a hundred dollah. If there is any comfort, the Vogtle nuclear reactors may well Bankrupt Southern Co. If they are ever completed, they will cost over $19B. This is about $8,000/kW. Compare that to a combined cycle natural gas plant at $1,100/kW which currently has plenty of cheap fuel. Or compared to a wind facility at $2,000/kW or utility solar at $1,000/kW with NO fuel costs. None of them are dispatchable because the wind and solar generate whenever the wind and sun are available and nuclear must continuously run. Boiling water reactors are dead! Vogtle killed Westinghouse and almost took Toshiba down with it. Anyone that tells you that nuclear is a solution is a shill for the military. Boiling water fission reactors were only developed to provide fission material to the military. TVA? had a thorium reactor that needed some refinement but worked well in the 50’s but was shut down because it didn’t provide bomb material. We will probably see “nuclear” reactors in 10-15 years, but they will be thorium reactors from South Korea and China. The one thing I don’t understand about nuclear power plants is how anyone thinks they are a profitable idea. This has for me a bit of the feel of a “hit” piece. Moniz was, prior to serving in the Clinton and Obama DoE, a research physicist at a leading university. I encountered him nearly 40 years ago when I was an undergraduate physics student. I did not get an icky feeling off him. He later served as head of his physics department. He looks to me like a reputable academic who entered public service. Many progressives are strongly opposed to nuclear power, for reasons that look sensible to me. Moniz appears to reflect the mainstream left-of-center view that nuclear is preferable to carbon. He may be right to hold that view. I feel a bit disappointed by this piece. That’s President Obama’s Energy Secretary, Ernest Moniz, saying this! Thanks, TP. That does clarify things a bit. EM’s “Green Space” includes fracked natural gas. This makes Publius’ assessment of regulatory capture look a lot more credible to me. The difficulty with solar and and wind enery in the South is that there is limited amount and consistentcy. Nucleur as a “renewable” is not an option IMHO either due to its high subsidized insurance costs by the Feds and its terrible monitoring practices. I would still advocate for fusion R&D, however due to its ability to mimic the sun. So what is there to do? In the short term nat gas appears to be the alternvative with continued R&D in enhancing solar cells that conduct energy with minimal input from the sun, enhance batter storage R&D and means to effectively transmit energy via solar and wind without losing as much energy as we currently do. Another alternative would be tidal/wave energy captured at the coastlines in the South and transmitted to the regions in those adjacent communities. There is no more difficulty with solar and wind in the South than there is with shipping billions of tons of coal from Appalachia and Montana to Southern via Warren Buffetts BNSF railroad. Can we just resurrect Ida Tarbell and set her on Warren Buffett and Bershire Hathaway, and every other coalfired investor posing as a liberal Democrat, as Obama, of coals state Illinois, of Peabody Coal and Exelon, did. .
Can we have a little honesty, for once, please. .
We can venture a good guess at the answers. They know full well their policy positions as essentially Republican lite are unpopular. While the elites in the party continue to rake in dough, they pay their well-placed sheepdogs to corral the voters and wait for the Republicans to screw up royally. Then they reacquire power which will be reliably squandered in service to the party’s donor base. The question then becomes; how long does this continue? Company service area to reduce substantially their electricity consumption through strongly applied conservation lifestyling could have a uniquely damaging impact on the thermal coal bussiness and its power against people and politics. One hopes that our hosts might see fit to create a category on the order of Conservation Lifestyling or some such . . . . to contain articles about people or movements who are reducing consumption of matter and energy by themselves and by others . . . . and are weaponising and disseminating that knowledge far and wide in order to attrit and degrade certain anti-survival/ anti-future bussinesses and industries. If such a category were deemed worthy of coming into existence, readers could also bring their own ideas and experience and information sources to the relevant threads and further the process of degrading and attriting ( and eventually extermicotting) certain notoriously anti-survival and anti-future bussinesses and industries.